Fits 1984-1992 2WD GM Applications Requiring 700R4/4L60 and 30 Spline Converter. For Use With Electronic Speedometer. 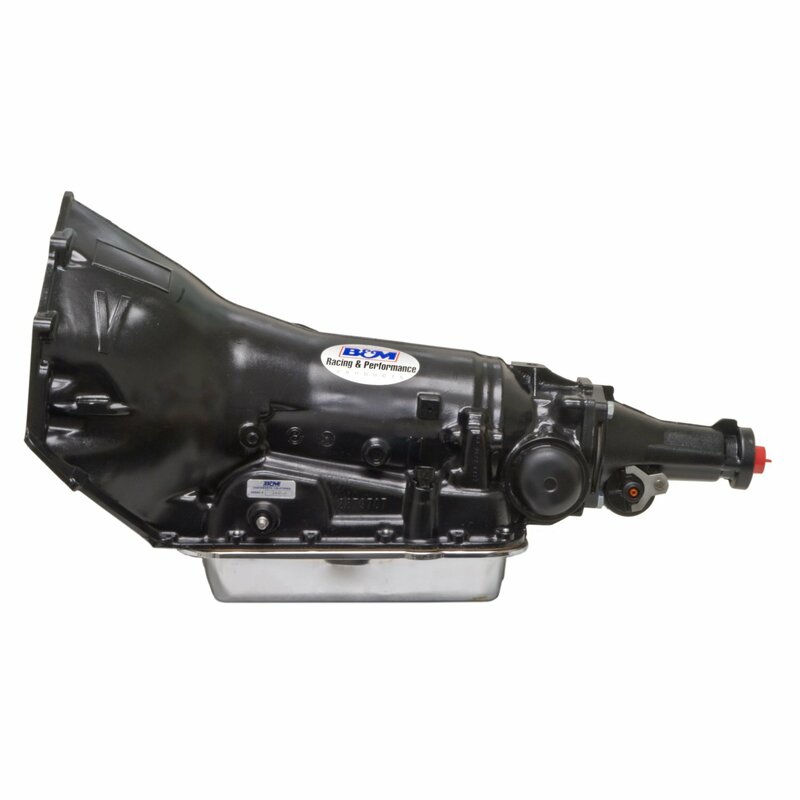 The B&M 700R4/4L60 Street Strip transmission is suitable for use behind engines producing up to 500HP and 450LB FT of torque which covers most small block and mild big block engines. It features a low first gear ratio and an overdrive 4th gear making it a very desirable transmission for street strip applications. This 4L60 transmission is for the electronic speedometer, but is not an electronically controlled transmission. B&M strongly recommends adding a Hi-Tek trans cooler to help further reduce heat build-up and extend the life of automatic transmissions. Can be used with a B&M Lock-up Controller. Does not fit Corvette or 60 degree V6 engines. Does not replace 4L60E transmissions.